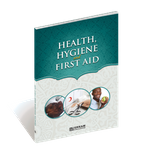 Hygiene (or cleanliness) is an innate characteristic of human beings. It is necessary for a person that he be clean and remain clean. This is so because people experience peace and health in this way. I should mention the following truth one more time: Cleanliness is not only for people, but also for animals, plants, and all animate and even inanimate beings. They all have a need for cleanliness and it should not be put off for later. Mountains and rocks are washed by rain, ducks are inspired to clean themselves in streams, and cats are given the ability to clean themselves. Allah, exalted be He, who created all these things, also desired that people would clean themselves by their own will. A real Muslim should have clean bodies and smell pleasing, have a good look, appearance, and his imaginings and thoughts do not contain anything dirty. In this state, a true Muslim resembles a precious flower, constantly radiating beauty. It is necessary for all mankind to understand and try to live like the Prophet Muhammad, (saws) who is at the peak of all forms of cleanliness so the book you are holding has been written in the light of is sayings and Qur’anic verses. This book, explains not only what may be done and how we may contribute to having clean air, soil and water and a clean environment, but also in a detailed way the connection between cleanliness and health and the importance of ensuring a clean body, room, house, alley, street, city, and country. Neslihan Nur TÜRK has written this book, Health, Hygiene and First Aid, to be conductive to make a generation pure and healthy, physically and in all areas of meaning, and with the hope that future mothers and fathers may raise awareness in these issues. Es ist noch keine Bewertung für Health, Hygiene and First Aid abgegeben worden.